We are delighted to share with you our April Spa offers. Emphasis your eyes with all Eyelash and Eyebrow treatments 15% off! Including eyelash tinting, eyebrow tinting, eyebrow waxing/shaping, HD Brows. * tinting only carried out with a completed patch test 24hours prior to treatment. Book an ELEMIS Express Facial and receive 20% off any ELEMIS products. Treat yourself to 3 OPI infinite shine polishes for £30! Saving £11.85! Our outdoor heated swimming pool will be reopening for the year on the 6th of April! Booking is essential, please call our Spa on 01726 811015 or 01726 812304 to make an appointment. 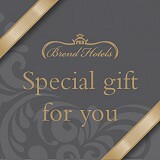 For a full list of spa facilities, treatments and prices please download our Spa Brochure.